Although plastic surgery statistics may have fallen in recent years, that is not to say that an influx of people haven’t been making the trip down to the cosmetic clinics in Glasgow to get the latest trends in the world of cosmetic surgery. For those of us who haven’t so much as darkened the door of a cosmetic clinic in Glasgow, what lies within? What treatments are people receiving? We take a look inside of one Glasgow’s most frequented cosmetic clinics, The Berkeley Clinic, which resides on Berkeley St in Glasgow’s busy Anderston area. Inside what looks like a humble building is clinical mixed with class. Unlike many cosmetic clinics in Glasgow, The Berkeley Clinic is also a cosmetic dentistry. Far from your humdrum dentist office, this cosmetic clinic within Glasgow’s centre has a plush, stylish interior; complete with a chandelier and although the walls beyond the waiting room are your standard clinical white, there is a large open ceiling and glass panels to keep the stylish element flowing. It is not difficult to see why above the other cosmetic clinics in Glasgow, The Berkeley Clinic is favoured amongst the celebrities and socialites of the city. With a reputation for excellence, this place is a cornerstone of not only the dental community of Glasgow but also the cosmetic community. When it comes to cosmetic surgery in Glasgow, there is a huge amount of treatments that are available to choose from. 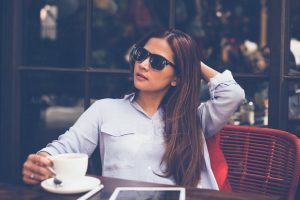 For many who seek cosmetic clinics in Glasgow, they are looking to improve their appearance with the help of cosmetic surgery. For others, they have medical conditions which can be aided with the help of cosmetic treatments. 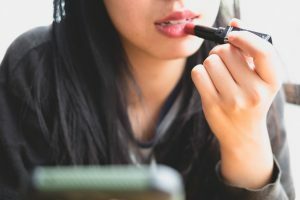 Lip fillers – Injectable lip fillers have boomed in popularity in recent years, majorly due to celebrities like Kylie Jenner flaunting a fuller lip online and on television. Many people get temporary lip fillers to restore volume, giving them a more youthful appearance. Dermal fillers – dermal fillers are one of these treatments can be used to alter a number of areas of the face. Botox – Since its inception, Botox has been one of the most sought after cosmetic treatments in the industry and has been known to significantly reduce the signs of fine lines and wrinkles. Chemical peels in Glasgow– Chemical peels come in three levels, each going deeper into the skin within each level. Chemical peels have been known to greatly help acne scarring and other skin conditions. IPL – IPL treatment has been effective for treating many skin conditions over the years, often making the impossible possible for many people. It should be noted that although these treatments can help medical conditions, they can also be used for superficial reasons also and many people seek them out for this reason also.